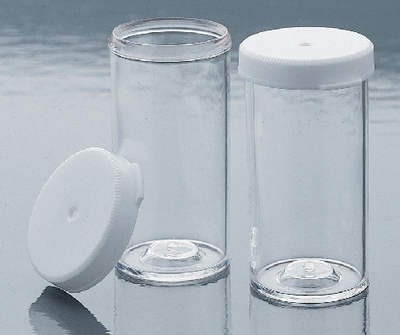 Short style vial with snapon polyethylene cap. Capacity: 26mL. Size: 51mm H x 25mm dia.